Education, the birth right of every human being unfortunately is going out of the reach of a common man. Nobody can deny this harsh reality that education has become a business today just like any other business. This is not only a problem for Pakistan. Institutes and organizations all around the world are trying hard to overcome the educational crisis. However, Pakistan is facing this problem to a much greater extent. First of all, quality education is way too expensive for lower class. Even the people belonging from the middle class have to cut out their belly to be able to afford higher education. Most of the educational institutes are simply there to exploit the students. After-school academies, tuition centres and home tutors make the top of the list. It is for this reason that we see tuition centres budding up in every other street. 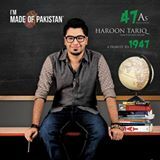 Amidst all the political confusion and chaos Haroon Tariq, an 18-year-old from Pakistan’s Khyber Pakhtunkhwa (KPK) province has done something that students from all over the world could not do (Masha Allah). World record holder for most A grades in A levels with 30 A’s. World record holder for most A grades in O levels with 28 A’s. World record holder for most A grades IGCSE and O Levels combined with 57 A’s. “I did my O-levels in one year – usually people do it in three years.” Haroon told the BBC. He sat the first exams in 2010 while still attending the Army Public School in Peshawar in his home province.That year he did 10 subjects, including the compulsory ones. E-learning is the hottest topic of discussion amongst all educationists worldwide. But unfortunately, the concept still needs to be made popular in the developing countries especially in Asia and Africa. Sabaq Foundation’s website (http://sabaq.pk/) happens to be amongst the first and foremost of its kind serving as a pioneer of e-learning in Pakistan. The aim of our noble cause is to facilitate the students, parents as well as the teachers to gain knowledge through our online video tutorials. We have equipped our teachers with the state of the art equipment. All the video making softwares and tablets are specially used for. Hence, a lot of effort is put to ensure that our video tutorials compete international standards. According to a report on out of school children (OOSC) by Alif Ailaan, more than 25 million Pakistani children between the ages of 5 and 16 are deprived of their right to education. One in every five of primary-school going children, does not attend school. This proportion increases at higher levels of education. While making sure that children who are enrolled remain in school is a concern across the country, the report reveals that the majority of out of school children are those who have never seen the inside of a classroom. Doing a regional comparison, Balochistan has the highest proportion of out of school children, followed by the Federally Administered Tribal Areas (FATA). Whearas terms of population, more than half of the total number of out of school children are in Punjab. Congratulations to Malala for The Nobel Peace Prize! Sabaq Foundation presents its heartiest greetings to Malala Yousafzai for winning the Nobel peace prize. Arriving in Oslo City Hall, Norway, Malala made history by becoming the world’s youngest ever Nobel peace prize laureate. Born on 12 July 1997, Malala came into limelight when was shot in the head by Taliban in October 2012. Her crime was that she stood up for the girls’ right to go to school. Since then, the 17-year-old teen from Swat has come a long way in her campaign for ‘every child’s right to education’. Malala received the peace prize alongside the 60 year old Kailash Satyarthi. Kailash is an Indian child rights activist who stood up to raise awareness about eradicating child labor. 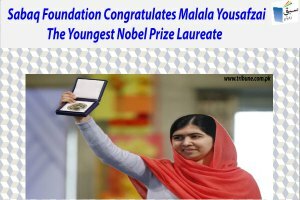 Along with speaking up for every child’s right to education, Malala also pleaded to the “developed and strong” countries to bringing peace and harmony in the world. The word malaria comes from an Italian word ‘mala’ meaning bad and ‘aria’ meaning air. Hence the word malaria means bad air. Malaria is spread through stagnant water where poisoned air is found. The breathing of that air causes malaria. This disease was discovered almost 2000 years ago by the physicians. They called it the disease of chills and fever. It was found that malaria was prevalent amongst people who live in ‘low marshy areas’. 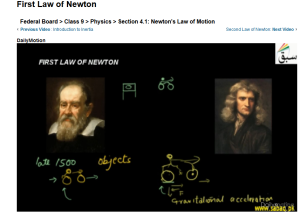 One of the most unique features of our website is that along with giving concept lectures, it also provides video tutorials that explain and solve the difficult problems and questions from their textbooks. The main reason for doing so is to ensure that the students grasp the concepts fully. A student can not fully understand a concept unless it is explained by solving a difficult question. 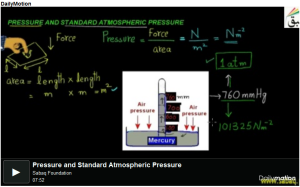 Hence, most of the concept lectures of Physics, Chemistry and Math for Matric (Class 9th and 10th) are accompanied by videos solving a difficult problem or a question. http://www.sabaq.pk provides a solution to this problem! 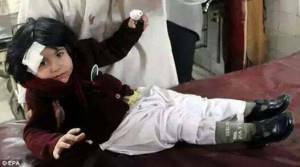 Today’s Blast in Peshawar is Highly Condemnable! If an object is at rest , it will remain in that state unless applied by an unbalanced force. Similarly if an object is moving , it will remain in uniform motion unless applied by an unbalanced force. Galileo introduced this theory in late 1500s. He said that objects have a natural tendency to return to their original positions if they are not being applied by a force. If a cycle is to be moved continuously, the person need to apply a force to the paddle. Descartes also said the same thing. “An object at rest remains at rest unless applied by an unbalanced force. An object in motion continues to move with the same speed and in the same direction unless acted upon by an unbalanced force”. To the pleasure of many students, 1st year and 2nd year Math videos for Punjab Board have been uploaded on our website. We hope that it will be very helpful for all the pre engineering students of F.Sc level. We have been trying our best to add more and more content. However, due to shortage of time and resources we need to prioritze the video uploading process. Hence, for now we are focusing on adding the 1st year and 2nd year content. Physics lectures for 1st and 2nd year are also going through their final stages of uploading. However, the O Level students need not worry as we are going to upload O Level Chemistry videos next. They will be available by the end of this week Insha Allah.